Clarence Benjamin “Buck” Rowe was known as the unofficial Mayor of Guinea, was born in 1920, the year his father opened the C.B. 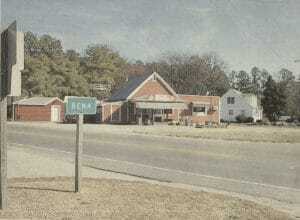 Rowe & Son General Store at the corner of Mark Pine and Guinea Roads. 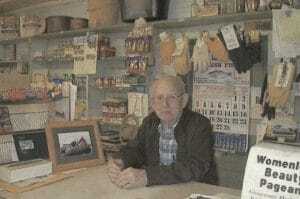 Buck, following in his father’s footsteps, continued the store’s tradition of being a community gathering place. According to an interview with Buck in 1996, “the main part of the store was built around 1880 during Reconstruction. . . . It’s put together with dried locust pegs and blacksmith nails. The roof had hand-hewn Cyprus shingles.” The store served as the Bena Post Office from 1947 until 1977 when Buck was the postmaster. Historical Timeline of the store. 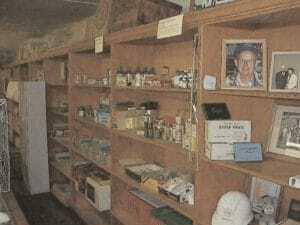 The Guinea Heritage Association is raising funds to be able to open the store as an official museum – one of Buck’s dreams before he died in 2005.